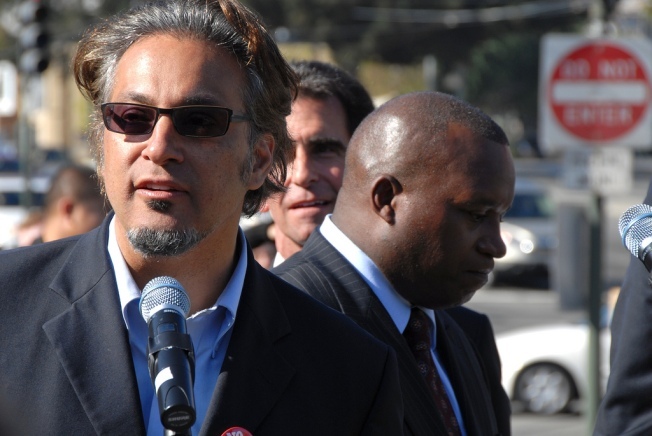 Proud papa Ross Mirkarimi can't possibly be hurt in a citywide election by a spanish-language blog written by the mother of his child. San Francisco Supervisor Ross Mirkarimi met Eliana Lopez, former Venezuelan television star, at a Green Party conference in Brazil, and now the two are raising a child together -- with Lopez chronicling it all on a new blog. The Spanish-language blog, named "maminatural," presents plenty of photos of a pregnant Lopez, as well as Mirkarimi adorably manhandling the little tyke. Lopez loves San Francisco, writing in her first post on Oct. 6 that it's "a beautiful and vanguardist city where a million interesting things are happening at the same time," according to a translation form the SF Weekly, which named Lopez "Best Baby Mama" for 2009. She also loves Mirkarimi. "My man became the co-pilot of this flight," she wrote about his role in the natural home birth. Follow the blog yourself -- not just for the photos of the woman who was once ranked the seventh hottest Venezuelan actress, or the potential for political insight, but because it can't hurt your high school Spanish, either. Jackson West figures the Mirkarimi-Lopez kid will give the Newsom-Siebel kid a run for the cute money.